I haven't been out to photograph anything today and so took a photo and framed one of my acrylic paintings Although very simple I quite like the effect of the textures created by the use of a thickening agent to sculpture the surround ! Best viewed on black if you have the time !! Beautifully dome Beryl both photograph and painting. For once I do not believe you need the boarder, your wonderful painting is strong enough to stand alone. 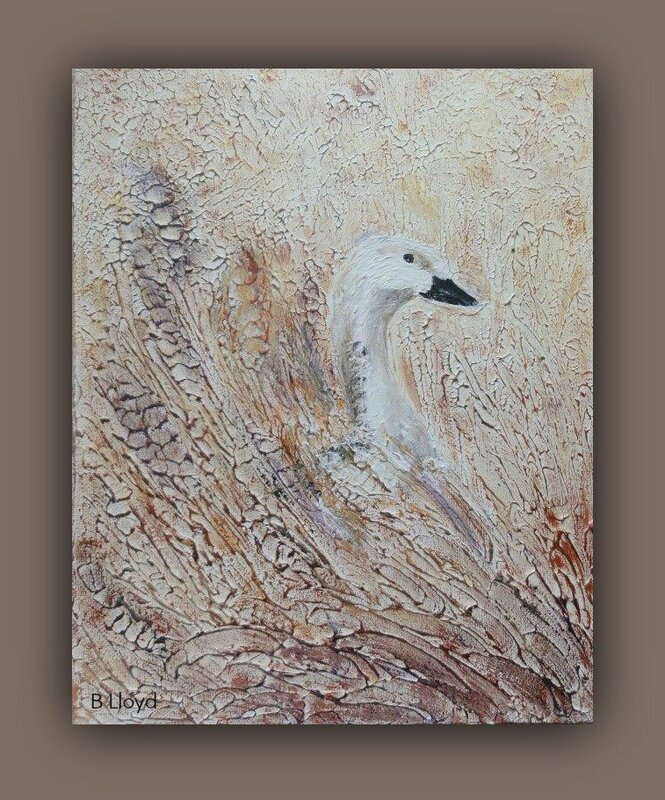 Beautiful painting Beryl....I like the way you have depicted the corn moving around the goose. Super painting Beryl love the way you have added textures and the soft natural colours .Fav. This is an amazing image & a stunningly beautiful painting. lovely painting, great textures in it and well captured. Beautiful.. lady of many talents.. This is lovely Beryl, you are very talented. Fav. What a beautiful painting. It's really lovely and the frames suits it well. What a creative talent you have. Fabulous painting, you are such a talented lady Beryl. A wonderful painting - great talent. Love this Beryl. You are so talented. It's beautiful Beryl. You do wonderful work. Very impressive Beryl. I like the textured look. Lovely painting- you're very talented! What a clever thing you are - this is really lovely - such simple effective tones. Fav for your artistic talent. Clever! Lovely art work and photo presentation. You've created both a beautiful painting AND a beautiful photograph! A very talented lady, love your painting! Oh Beryl, - its absolutely beautiful. You got it-you got it!! Hope you are, not chopped!! Not feel fit....this stupid predictive thing outs words in my mouth even if sometimes they are rather apt! This is beautiful and yes it does look good on black.